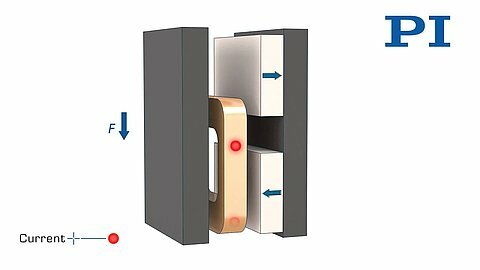 In particular, in terms of wear and dynamics, magnetic direct drives offer advantages compared to common spindle-based technologies. 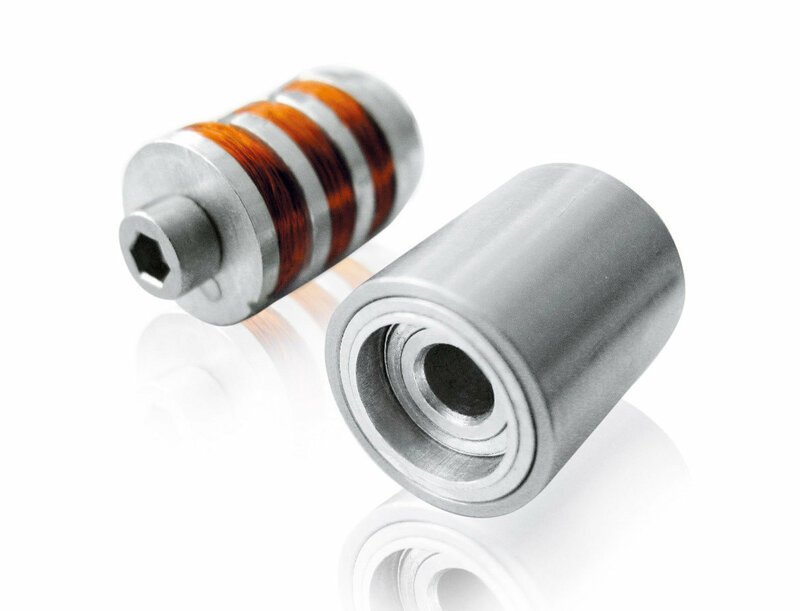 Since they use as few mechanical components as possible, this results in less friction and backlash and thus more precision. System components like stator, actuator, or electronics are adapted individually by PI to the respective applications for the PIMag® series. 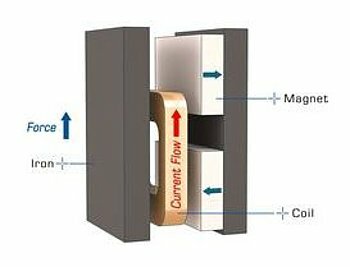 Voice coil actuators and magnetic linear drives utilize the fact that the force acting on a current carrying conductor in a magnetic field is proportional to the strength of the +magnetic field and the current. The electrical energy is converted into mechanical energy and generates a force which can act bidirectionally, depending on the direction of the current. In particular, in terms of wear and dynamics, this mode of function offers advantages compared to common spindle-based technologies. As it largely dispenses with the use of few mechanical components, this results in less friction and backlash and thus more precision. At the same time it lowers costs and increases energy efficiency. 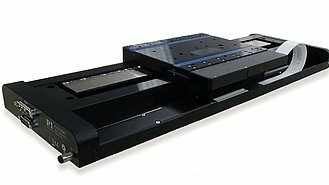 These friction-free electromagnetic linear drives are characterized by their good dynamics, albeit with relatively low holding force. 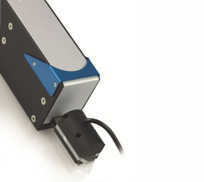 They are used primarily in scanning applications with travel ranges up to several ten millimeters. To maintain a stable position, the voice coil linear drive, like any other linear coil, has to be operated and braked with a closed-loop control. Both position and force regulation are possible with this current-controlled principle, as compared, for example, with piezo-based drive solutions. This allows for comparatively large travel ranges at low actuator or drive measurements. In principle, magnetic linear motors correspond to a sequence of several voice coil actuators; individual coils can be controlled according to a position-dependent, defined pattern (commutation). As a rule, movement of the coils or the magnetic assembly is possible. Linear motors are used both for very high and for very low feed velocities. They work precisely in a range from below 0.1 µm/s to more than 5 m/s. 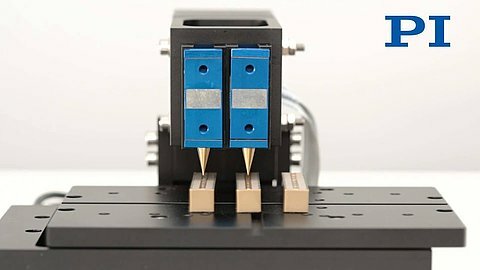 If combined with air or magnetic bearings, a position resolution down to a few nanometers is possible. Since they are current-controlled, with the driving force being linearly dependent on the current, magnetic direct drives can not only be operated based on position or velocity control, but also force control. Force regulation allows the operation of PIMag® drives and stages with defined retention or feeding forces. The force and position sensors can be read simultaneously and the values processed. Next to pure force regulation this gives the options of subordinate position and velocity regulation. An auto-zero function defines the holding current at which the drive outputs an open-loop force of 0 N, i. e., for compensating weight. 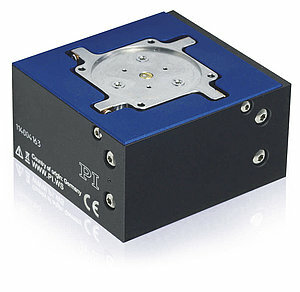 PI offers the option of fitting PIMag® actuators with a force sensor. PI adapts all the system components such as stator, actuator, or electronics to the specific requirements. This results in a similar depth of technology as for piezoceramic drives. 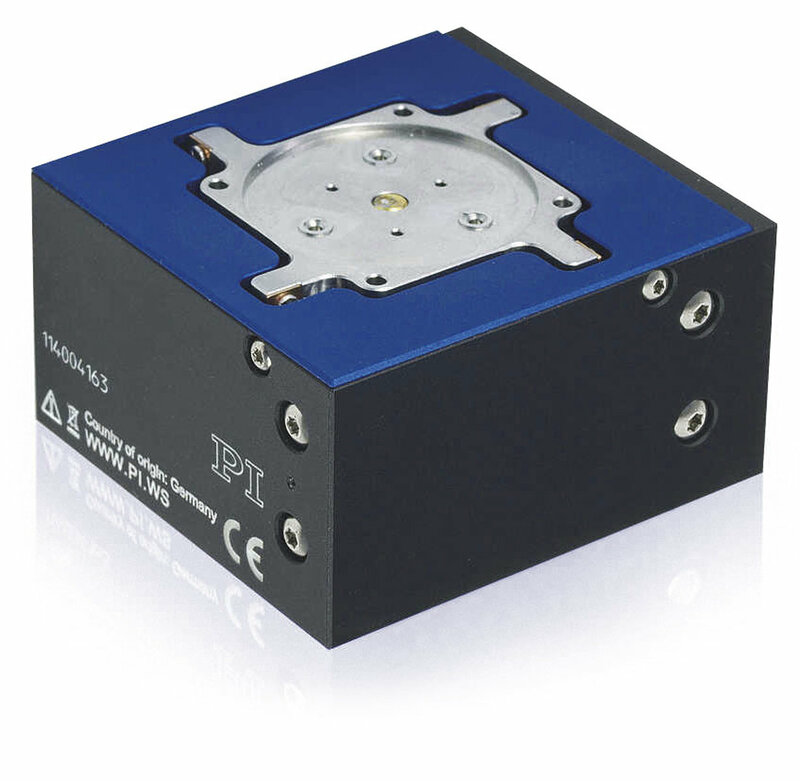 Together with its know-how in control technology, guiding systems and nanometrology sensor systems, PI is also flexible enough in the field of magnetic direct drives to meet specific requirements without having to purchase additional "off-the-shelf" solutions. For the users, it therefore makes virtually no difference according to which principle their positioning system operates. They can be sure to receive a tailor-made positioning solution. Unfortunately there is no panacea for the ideal drive concept in positioning applications. 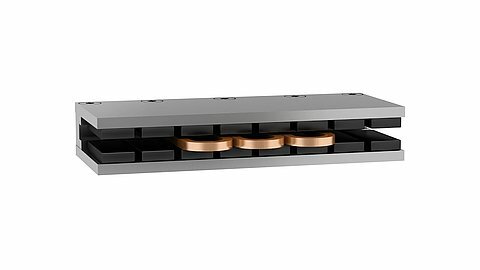 Whether piezo-based or magnetic drive solutions are better suited, depends on the interplay of numerous parameters dictated by the concrete application. For example, the required stiffness of the system, the travel required, as well as the power supply available, all need to be considered. Add to this the desired control behavior, the installation space available, as well as possible safety requirements, and, last but not least, the standards and the costs to be expected.